If you reside in any part of Wake County, our team of professionals can help you find a Blue Cross NC Raleigh, NC health insurance plan to cover your medical needs. Contact The Mair Agency today. 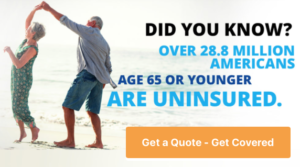 As the #1 Blue Cross NC Medicare Agency as rated by Blue Cross Blue Shield, we are confident we can assist you in finding the correct health insurance plan for your needs. Raleigh, North Carolina is a very important part of North Carolina for The Mair Agency. Since 1988, we have served this area (all of Wake County) health insurance. Through all the ups and downs of the insurance industry, we have stood the test of time and continue to put our best foot forward when it comes to finding low rates and helping our clients. With agents Becca Sharits and Daniel Turner local to Raleigh, we are confident we can help you with your health insurance needs and desires. Open enrollment is almost upon us. Tens of thousands of North Carolina residents will be looking for 2019 Medicare Supplement and general Medicare Rates in not only Raleigh, North Carolina and Wake County, but throughout the state. If you are seeking information on how much you are going to pay for Medicare in 2019, reach out to The Mair Agency today. Note that Open Enrollment is from October 15th, 2018 through December 7th, 2018. We can assist you with every step of the application process. In 2018, Blue Cross Blue Shield of North Carolina offers Blue Value, Blue Local with Duke Health and WakeMed health insurance plans. Instead of having to read all the literature and deciphering different medical terms, we strongly suggest contacting one of our local agents Becca Sharits or Daniel Turner as they have decades of experience explaining the terminology of a health insurance policy. We are confident they can assist you in understanding what doctors and/or hospitals are in your network, which prescriptions are covered, what the co-pay will be and how emergency medical situations are handled today. Call The Mair Agency today at 919-459-2683 or 855-ITS-BLUE (855-487-2583) to speak to one of our expert agents. Raleigh, NC is one of the fastest growing cities in the entire United States. In the early 2000s, the Raleigh, Durham and Chapel Hill area was consistently touted as one of the best places to live in America. This has caused a significant jump in jobs, a drop in unemployment and an increase in the population. The population in Raleigh has grown from 261,205 in 1999 to over 450,000 in 2016. This is expected to continue and Raleigh and Durham are vying for Amazon HQ2 and other technology and medical companies are coming to the area. You may have visited Raleigh, NC during a trip to the State Capitol or to attend the NC State Fair in the fall. It may have been a friend that wanted to go to a concert at PNC Arena or a Carolina Hurricanes hockey game. There are many reasons people fall in love with Raleigh, North Carolina. Fortunately, entertainment venues and popular attractions are not the only reason Raleigh is a great place to live. Jobs are aplenty and there are great opportunities to expand your professional life. Whether you are looking to move to Raleigh for a new job or hope to retire to the area where your son or daughter is going to graduate school at NC State, UNC or Duke, there are options when it comes to your health insurance. Contact the Mair Agency today as we will be more than happy to assist you in finding the best health insurance for your current life situation. We have agents in the area that will be more than happy to sit down with you and explain everything from the Blue Cross NC family insurance package to Medicare Part A and Part B. Our experienced agents Becca Sharits and Daniel Turner will go above and beyond to assist you with your health insurance needs. If you are seeking Raleigh health insurance without ACA, do not hesitate to seek assistance from The Mair Agency. Blue Cross Blue Shield or North Carolina offers Blue Value, Blue Local with Duke Health and WakeMed insurance plans for those residing in Wake County. If you are interested in learning more about any or all of these plans, reach out to the Mair Agency today. We have agents that reside in Wake County and can meet with you face to face or have a chat over the phone. We are very accommodating when it comes to your initial consultation. Whatever method of communication works for you will work for us. Whether you are in Morrisville, Garner, Knightdale, Wake Forest Zebulon or Holly Springs, we will make the effort to meet with you face to face. This is very important to us as we know the value of having a strong relationship with your health insurance agent. If you are looking for subsidies in Wake County, we can help with that as well. If you have a family history of dental problems, you will likely want to consider a Blue Cross NC dental plan. Preventative maintenance is always the best way to reduce the number of cavities and root canals. This is something to consider when signing up for your health insurance in Raleigh, North Carolina. While Blue Cross NC will not cover all Raleigh orthodontist costs such as braces or Invisalign, it will cover semi annual cleanings and some of the other costs of going to the local dentist. 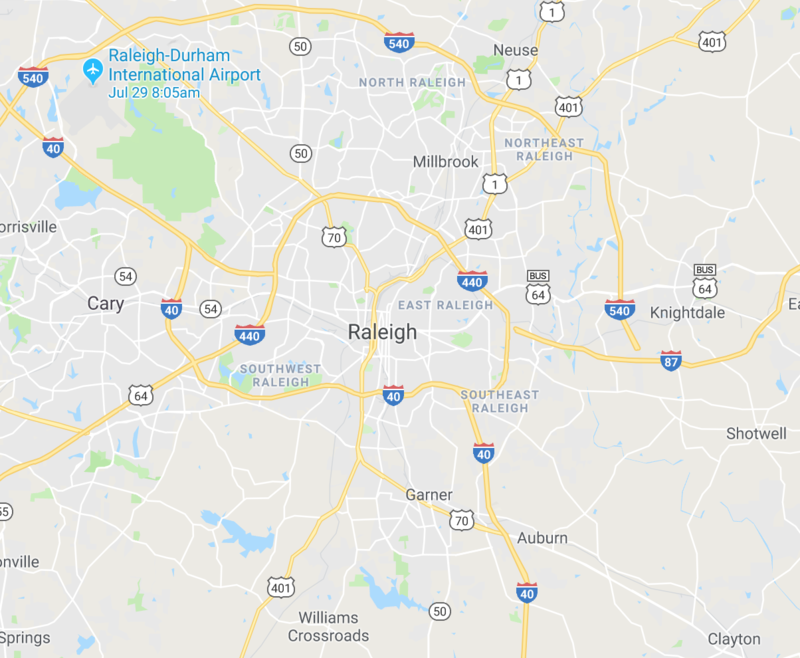 Where do you get your Raleigh, NC Health Insurance? I want to welcome all of you to our September 19th press conference of the North Carolina state health plan. Behind me I’m joined with a lot of the staff that have worked timelessly over the last few months to get our TPA, which is our third party administrator contract out on the street. Also, after that was done to score those. We’re very pleased to announce today that the winner of our TPA contract is Blue Cross Blue Shield of North Carolina. In just a few moments you’re gonna hear from Dee Jones who’s the executive administrator of the plan as well as some members from Blue Cross. I want to say before I hand the mic over to Dee that there were several bidders in this process. I wish to thank all of those for their participation in this, the tireless amount of professional hours that they put in to submitting a bid to serve the people in our state. One of those bidders, it’s no secret it’s United Health Care. United Health Care continues to offer coverage for over 75% of our retirees through our Medicare advantage product. We look forward to a continual and prosperous relationship with them. This announcement today is not a renewing of our vows with Blue Cross. It’s a resetting of our priorities and our relationship. There’s a big difference. We are going to be reducing complexity for the state health plan going forward and building value for these participants. Instead of talking about data going forward, we’re gonna have data that talks to us. Previously I think there’s been a frustration in the entire medical community about the fact that we are not using data to the benefit of the participants of this plan or the tax payers. We do know that this card, this coveted state employee health plan card is one of the most coveted health plan cards in North Carolina. Providers like seeing people with this card, hospitals like seeing people with this card. We want to make sure that even though they have their business to run, we also have a business to run on behalf of our participants and retirees. I’ll also say that no matter what you’re wearing today or what you drove into this building that generally speaking, you can tell me exactly what you’re wearing cost and what the car you drove in here costs and what the last tank of fuel that you bought costs. Health care is something that our members consume on a daily basis. Even after they consume it there’s a question about the value and the cost of what it is they received. I’ll show this explanation of benefit to you. This is something that our members all get in the mail constantly. This is an explanation of benefit that’s almost two pages long. Every single thing on there says facility charge and gives no insight as to what the person paid for. I’ll end where I started earlier. This is not a renewing of our vows with Blue Cross or with the medical community of North Carolina or the providers. To some degree, even our pharmacy services. This is a resetting of our relationship. We are dealing with a situation with the state health plan where we need our participants not only to be our watch dogs, but also to take personal control of their health care. That’s what we’re gonna be focused on over the life of the contract that we just awarded to Blue Cross Blue Shield. This is a serious matter. It’s a matter that was going to face the next treasurer in North Carolina if it had been my predecessor or my opponent, or myself. It’s not emotional. It’s not political. It’s mathematical. With that, I’ll hand that over to Dee Jones who is the executive administrator of North Carolina state health plan. Dee. Thank you Mr. Treasurer. Again, my name is Dee Jones and I’m the executive administrator of the state health plan. I’d like to start by thanking our core team led by Tana [inaudible 00:04:44] and Caroline Smart for leading the TPA RFP effort along with the many subject matter experts who provided their extensive knowledge and substantial time throughout this lengthy process. Beginning with the RFP planning in development stage, which started in early 2016, through the detailed review of 17 sections and thousands of pages of technical information leading up to today’s award. Their professionalism, integrity, commitment to and respect for the process is to be commended. Supported by the treasurers leadership and the efforts of the team, I am pleased that we’re able to stand here today with our partners for the coming years to provide a health plan forged in quality and value for our members. Now that we’ve completed the RFP process, we look forward to beginning work on the 2019 implementation effort. We will work diligently for our members to gain efficiencies and reduce complexities as we design the plan benefit program for 2019 and beyond. Thank you. Good afternoon everyone. I will keep my comments very brief. I can’t tell you how happy I am to be working with the treasurer and the state health plan as we help them to address their priorities and their goals moving forward. I agree with Trisha [Thorwell 00:06:11] in that it is a new day. We’re very clear about what the priorities of this office. We look forward to supporting those. I also want to say that we are incredibly honored to continue to serve the employees at the state and their families. Again, we take that responsibility very seriously and could not be happier. Thank you Trisha [Thorwell 00:06:37], Dee, and staff. Thank you all. We’d be glad to open up for questions. Yes, Rose. The woman who spoke just before you. What is your name. I’m sorry. My name is Susan Murray. I’m the vice president of the state segment at Blue Cross Blue Shield North Carolina. That’s the easiest question I’ve ever gotten from you guys. Oh, next. Right now Blue Cross, you’re currently in this type of war of commission in the western most part of the state. Potentially, Blue Cross might not be contracting with the largest vendor of health care in the western part of the state. How might that effect state employees out there in that? I presume you’d like for both of us to answer that. That’s an accurate statement that we are … well, we aren’t actually currently in negotiations with mission but we do have an issue going on with mission health care in the western part of the state. We would be happy if mission rescinded their termination notice. They have not done that to date. That is something that we would love to see. There are other alternatives other than mission health in the western part of the state. We have provided the health state plan as well as our other clients in that part of the state with information about the other health systems and providers who are available there. I would add to that the people standing behind me and elsewhere in this building are keepers of the public purse. Generally, people sign that term to us being the state bank or managing state pension plan or the defiant contribution plan. We extend that to being keepers of the public purse as it relates to the state health plan also. We are obviously understand that we have a lot of participants who live in that part of the state and that their choices are limited based on geography. We will be working very closely. I have spoken to the incoming announced CEO of Blue Cross. I’ve spoken to the president of mission health. Obviously they have their business to run, but so do I. My business is for accessible and affordable health care for state employees. We’re not gonna be misdirected from that mission. No pun intended. Yes. Mr. Treasurer, it says here that the proposal of the CBS offer was essentially flat in terms of the protocols. I don’t follow this all that closely. How is that paid as? Is it per member per month? Is it a portion of the monetary claims? How does that work? Great question Gary. Thank you. It’s paid out as a PM PM, which is per member per month. It gives me an opportunity to explain to you and the rest of the viewing audience Blue Cross Blue Shield is not our insurer. We are self insured. They are a third party administrator. I know that’s a common misconception out there among our state employees, retirees, and the general public. We get charged on a per member per month basis by Blue Cross Blue Shield to administer our employees through their networks. Can someone provide me some specifics on what is a current per member per month and what will it be under the new extended contract? That’s probably not an easy answer. Generally speaking, we’re looking at a … it’s only complicated by the fact that we’re rolling in our population health management into this new TPA and separately it was separate. To give you an accurate answer on that, I would probably, I need a little more time. If anybody in my staff would like to chime in on that, be happy to. I would say that it may be a slight decrease, is my intuition after going through all of the materials today. I mean slight decrease. Excuse me. Yes. There have been some concerns in the past about Blue Cross being a transparency. There were some calls a few years ago for your company to be more transparent in terms of contracts. Obviously I’m guessing this is not a no brain contract as was back in, what was it? 2010, 2013. There was some criticism about that. Have Blue Cross made a commitment toward more data transparency and more price transparency with the state? Yes. As a matter of fact, we have full data transparency with the state health plan and have now for several months, been providing a state health plan with plain data files that include all of the aspects of a claim, including the provider information. There is full data transparency from that perspective. I would say more generally speaking around transparency, Blue Cross Blue Shield has a public price transparency tool that is available. It’s available to our members as well as to the general public that provides price information on a wide variety of medical services. Rose, I will add to that answer that the basis under which I come in on a daily basis regarding the state health plan, the foundation of a lot of the things that I’m gonna be working on go back not only to the less merit our audit of 2008 on the state health plan, but also the [alter Beth Wood 00:13:31] audit of 2011. It talked about transparency. It talked about contractual relationships. It talked about over paying. Those are very important issues to me. The second piece to that foundation is things that have been given to us. For example by [SEANIC 00:13:51], state employees association. Things that they are generally concerned about regarding transparency. It’s real easy to stand up here and tell you that we’re being transparent. The fact is, is if the data doesn’t talk to us, it is worthless. I can assure you that is in my term as the treasurer, that, that data is gonna talk to us. We need to be able to empower our participants about the cost of what it is that they’re consuming. Not just their cost. We need our participants when they get one of these things in the mail, to just to go to the last entry where it says how much you owe. That’s not what we need. We need people to dissect and look at these explanation of benefits to make sure that they’re not paying for procedures and supplies and other kinds of things that they did not consume. Does this mean that Blue Cross Blue Shield is going to participate … well, I know there’s been some talk between medicine and medical payer planes data base. Would you oppose to be participating in it? I am not the best person to address that so I’m not even going to attempt to do that. I can certainly get a more thorough answer for you. In addition to that, we think that we have enormous opportunities. We are spending almost a billion dollars a year on prescription drugs. In so many instances, we are the price taker. Somebody else is setting the price on those drugs. We need to be more diligent about that. Secondly, common to everybody in the state regardless of who they work for or who they retired from, we have a pharmacy adherence problem. We have people who take a piece of paper from a doctor and they never get it filled. They get it filled, they don’t pick it up. They pick it up, they don’t consume it. They pick it up and they consume it partially. Then that fifth category is they do all of the above and they consume it exactly as prescribed. There is a lot of waste in those first four steps. We need to make sure that our state employees and retirees are serious about when something is prescribed to them that they take it as prescribed. This is very different than most things that you consume. If you go to the doctor for bronchitis for example, you get charged. If you go back to the doctor four weeks later, you still have bronchitis, you get charged again. We are going to be more diligent about things along those lines. Yes sir, yes. I’m sorry. I have one more question. Did Blue Cross, did you talk about savings goals? Do you guarantee? Do you offer savings goals? Do you guarantee anything? Do you folks demand a savings goal? I’m actually going to look at Dee and the treasurer to answer that. There were specific requirements in the RFP that we addressed as part of our response. I would look to these folks to provide any specifics they’d like. Thank you rose. As we go through the process of setting up the plan design and the benefit designs coming up, we’ll be deciding which of the savings opportunities we might want to take advantage of because they range from changing the way the network works to more tactical items. It’s not something we know right now. Over the next six, nine months we will be making those decisions. Let me just add to what Dee said. We have to find a way to take three hundred million dollars a year out of our health care spend. The amount of money that this state health plan spends, which includes employee money as well as our money, the amount of money that we spend exceeds the entire appropriation to the UNC system this year. It’s going that way. The challenge is, is that our prescription costs are going up six to 7% a year. Our medical costs are going up five to 7% a year. Both the governors budget and the general assembly’s budget only funded us at a 4% increase. Not to be confused with the pitching plan, which they fully funded plus tens of millions of extra. Our need to cut three hundred million dollars out of the cost of this three billion dollar a year operation is not just something that we thought of. It’s a necessity. It’s a necessity in order for us to sustain this plan. In addition to that, we have to do this in a way where we’re working with the stake holders of the state health plan. These folks know a lot about what’s going on and where the costs are and where the waste fault and abuse exists. We need to listen to them, which we do. The second reason that I bring this chart to your attention is that as I said earlier, we are on a unsustainable course in terms of the amount of money that this plan spends. People obviously are living longer. That’s a blessed event. The amount of money leaving a plan every 30 days only grows. We’re gonna do a better job of rationalizing and cutting costs inside the state health plan both with medical services and pharmacy benefit services. What that means is, that’s gonna be a partnership. It’s gonna be a partnership between us, our third party administrator, and the providers of these services throughout the state. That’s where my optimism comes from. I think that we have a unique opportunity to lead the nation in this regard. I’ll also add to that, that we may be one of the few states who even has a shot at actually solving these long term problems. That’s where my optimism comes from. Any other questions? I want to thank everybody for coming out. Frank Luster is in charge of communications and be glad to help you in any way going forward if you need information or data. I want to thank our team for not only putting out the RFP, but sitting in what’s commonly described as a war room for 17 days. More? For weeks at a time at eight hour blocks. When you go through something that has thousands of pages in it by multiple applicants, scoring this stuff is very important. Now, the hard work begins. We’re now in implementation phase. We have a word of the contract. Both parties have signed the contract. Now we’re in the phase of actually how we’re going. Now the technical part is behind us. We’re gonna talk about how we actually build and design the state health plan in a way that is sustainable. Behind most of our state employees, faith relationship, the relationship with their family and their health, for every one of 10 North Carolinians, the next two most important things in their life come out of this building which is their pension and their health care. As keepers of the public purse, we take that very seriously. Thank you. Thank you all for coming. Notice of privacy practices, any time you go to a new physician you are given a notice of privacy practices, and you are asked to sign. It is listed in the waiting room usually on something in the waiting room also. Accounting of disclosure, you now have to keep a record of everyone you have disclosed a copy of the patient’s record to and why. For use of disclosure, other than TPO, a covered entity must have the patient sign an authorization. So again, to send that record to that lawyer for that auto accident the patient has to authorize that. Unless, there are some exceptions, court orders, workman’s compensation cases, statutory reports, research, and self-pay requests for restrictions, okay. De-identified health information, this means all that information regarding my age, my height, my hair color, my employer, anything that can identify me has been removed from that record. So if you look at this record, all you know is that it is a female, 57, that’s it. That’s all you know, a 57-year-old female. That doesn’t say that it’s me, there’s lots of 57-year-old females out on the United States. So again, everything that that says it’s me has been removed from there. The HIPAA security rule requires covered entities to establish safeguards. You have to have encrypted software, which means your software has to garble everything, and only those computers authorized to ungarble it can read it. Passwords, obviously, we all have passwords for everything. You need to have a password for everything that you get into and you need to be the only one using that password. HITECH requires covered entities to notify any individual if there’s a breach. So if that patient record accidentally gets out, you need to notify that patient of that. A breach is impermissible use or disclosure of a PHI that could pose significant risk to the affected person. For example, you have the mayor’s mother in a hospital, and you go to fax records, and instead of faxing it to the lawyer that has requested it you accidentally faxed it to the hair salon. Well, first off, you better call the hair salon and, you know, ask them to shred it. Hopefully, they’re going to do that without reading it. However, you don’t know that and you must notify by the patient that it accidentally went to the hair salon. So obviously, now that it’s the mayor’s mother you’ve got … You know, hey, somebody’s going to see this is the mayor’s mother, you know, they’re going to read that information. We’re all curious. So again, it wasn’t intentional, you put in the wrong fax number, but that is a breach. Breach notification is the document you use to notify the individual of that breach. HIPAA has created a healthcare transaction code sets. Your ICD9 diagnosis codes, your CPT4 procedure codes, your HCPCS supply codes, these are code sets. There are also codes for rejection codes for when claims are rejected. There’s payment codes, there’s a whole set of codes so that everybody is using the same code. Prior to 1996, every insurance company used different codes to mean different things. Now everybody used the exact same codes. With that, we are now able to identify any fraud or abuse. The HIPAA national identifiers, our systems from employer’s healthcare providers, health plans of patients. One of the largest ones that came out of this was the NPI, National Provider Identifier. Prior to 1996, a physician could see patients in Florida do a terrible job, move to California, and nobody would know about it. Now with this NPI number, that number follows the physician from the day they finish their medical school, get into practice, until the day they retire. That number is theirs and theirs alone, and everything goes along with it. So if they do have any malpractice it is identified right with an NPI number. If they have done improper, a fraudulent billing, it is identified with that NPI number. It’s no longer identified by name. You can only not only get jobs on the provider side, which was always you could do, and not only you can get jobs on the insurance side what you could always do. Now, there are a whole bunch of organizations called RACs, recovery adjustment contractors who look at claims that have been paid afterwards and see if any fraud has been happening, see if the provider has improperly built or improperly paid. So there are all these jobs that have been created because of HIPAA for medical bills and coders. So it’s awesome that there are more opportunities for us. The HHS is the office of the inspector general and it has the task of detecting healthcare fraud abuse. They have the authority to investigate suspected fraud cases and audit records of physicians and payers. A relator is a person who makes an accusation of fraud and abuse. Fraud, it’s an act of deception used to take advantage of another person. An example, forging another person’s signature. This is intentional. Abuse means an action that misuses money allocated by the government. So billing Medicare for unnecessary ambulance services. It may not be intentional but it usually comes out of ignorance or inaccuracy. HIPAA is the final enforcement rule, it’s a law designed to combine enforcement procedures for privacy and security. The OCR is the government act, a government agency that enforces HIPAA. Criminal violations of HIPAA are prosecuted by the DOJ, the Department of Justice. The office of E-Health Standards and Service is part of CMS, and it investigates complaints or noncompliance with HIPAA standards. The office of the inspector general has the authority to investigate suspected fraud, authority to audit records of physicians and payers, and innocent errors will be distinguished from clear patterns of practice. To get yourself where you need to be, you’re going to need to do a compliance plan. We’ll be talking about compliance plans. There are both civil and monetary penalties, most complaints are settled by voluntary compliance. HITECH is also tiered systems for the monetary penalties. CMS and the OCR can supersede any HITECH limits, and $1.5 million is currently the cap for a calendar year for the same type of violation. So how do you protect yourself while you develop a compliance plan? What is a compliance plan? This is a policy and procedure for everything that is done in the office. This is the policy for how you code, this is the policy for how you correct any errors, this is the all the usernames and passwords, this is the training given to all employees regarding HIPAA, this is the training given them regarding passwords, this is how you comply with the medical record requirements, this is how you practice, this is every policy and procedure with the end of your practice. If something goes wrong, a policy for how you correct and prevent it. Accidents are going to happen, we aren’t perfect, we’re human beings, we make mistakes. If a mistake is made, for example, accidentally faxing that to the beauty salon. If a complaint is filed to the OCR, they’ll come and check. If you have policies regarding this and you follow your policy to notify the patient immediately, notify the beauty salon immediately, notify the patient immediately, you’ve documented everything correctly, you’ll probably just get a hand spanking. However, if you do that all the time and you don’t have any policies about telling the patient or anything like that, you’re probably going to get a fine. So that’s the difference, you want a compliance plan because things are going to happen. But this covers you and says you are trying to do everything you can to be compliant and follow the law. Changing mandate, this compliance plan soon will be mandated by law rather than voluntary, and they basically are. Your compliance plan areas, coding and billing procedures, your EEO regulations, your OSHA regulations. Compliance plan goal is to prevent fraud and abuse through a formal process, ensure compliance with federal state and local laws, and defend the practice if you are investigated. Compliance officers and committees, why do you as a medical biller and coder need to know about HIPAA? HIPAA is just about everything you do as a medical biller or encoder. That’s number one. And number two, as a medical biller and coder, usually you are wind up being put as a HIPAA officer or compliance officer. Compliance officer is in charge of ongoing work and can be a physician, practice manager, or billing manager. Compliance committee is established to oversee the entire program. An error and omission insurance may be recommended as part of a compliance guideline, and this again, is an insurance you can buy similar to malpractice that covers billing errors and stuff like that. Compliance officer is another realm that you can go into as a medical biller and coder. So as a HIPAA compliance officer or HIPAA security officer that is another realm along with other jobs. So again, these are more jobs that have been opened up due to HIPAA. Code of Conduct, procedures for ensuring compliance with laws relating to referral arrangements, provisions for discussing compliance during employees’ performance reviews, and mechanisms to encourage employees to report compliance. Now let’s talk about patient encounters and billing information. Healthcare is a business. Financial health of the practice depends on the billing and collection of fees. Regular cashflow, this is coming in every day and sending out the bills every day. Standardized billing procedures assists in the success of the practice. A new patient is a patient who has not been seen by the provider within the past three years. It is any provider within your practice, the practice is the same medicine. So if you have a practice with 10 physicians that are all family practice, the patient comes into that practice once, he can see any physician within that practice, and he’s never a new patient unless he or she has not been in within the last three years. If you’ve been in with them in the last three years, seen a physician within your practice who practices the same medicine, you’re an established patient. Okay. So where’s the difference? So you have those 10 family practice doctors, once a patient comes in, their first time, they’re a new patient, as long as they come in before the end of three years and see any doctor, they’re still an established patient. It doesn’t matter if they’re seeing a doctor they’ve never seen before. However, if you’re in practice that has a family practice doctor and a psychiatrist, the patient goes to see the family practice doctor now and he’s a new patient the first time he gets there, and every time after that he or she is an established patient. However now, he wants to see the psychiatrist. He would be a new patient for the psychiatrist because the psychiatrist doesn’t practice medicine, the exact same medicine that the family practice doctor does, okay. When the patient is new to the practice you need to pre-register and schedule, you need to gain medical history, patient guarantor, and insurance data, an assignment of benefits, and the acknowledgement of receipt of notice of privacy practices. A referring physician, this is one who refers a patient to another physician. A PAR, this is a provider who agrees to provide medical services to a payer, which means the physician has signed a contract with that insurance company. Not participating as a physician who has not signed a contract with that insurance company. Your patient information form, that’s the form that includes your personal history, your employment, your insurance company data. We’ve all filled those out we’ve gone to a physician the first time. Other terms for policy holder, the person who carries the insurance can be the insurer, the subscriber, or the guarantor, or the policy holder. Assignment of benefits, this is what a patient signs when they come into the office. They authorize the office to bill the insurance company and they authorize the insurance company to pay the office. That is it. It is not an authorization for payment in full. Because insurance companies usually don’t pay 100% for everything. Some things they do but it’s not an authorization for payment in full. It strictly allows the insurance company to make the check out to the physician or the practice or the facility. Acknowledgement of receipt of notice of privacy practices, this is the form that a patient must sign stating that you’ve given this to them. A direct provider is the clinician who treats you face-to-face. Indirect is a clinician who does not interact with the patient face to face such as a pathologist. That would be an indirect provider. When established patients arrive for appointments they’re asked if any information or insurance information has changed. You should review their information forms once per year, always get a copy of their insurance card the next year. Because many companies change insurance yearly, you need to make sure you get a copy of their insurance card every year. Any changes to the established patient’s information needs to be entered in the practice management program. A chart number is the number that identifies that patient within your practice or within your computer system. Five steps to verify patient’s eligibility for benefits. You call the insurance company or you send an electronic request about the patient’s eligibility for benefits, the amount of copayment or co-insurance, and determine that the planned encounter is for a medically necessary or covered benefit. Check out the network benefits if the practice does not participate, find out what the out of network benefits are, and make sure notify the patient because the patient’s going to be paying a greater amount upfront. Verifying the amounts for co-payment and co-insurance because they do change. Contact the payer for verification of coverage on unusual and unfamiliar services. So if you don’t know if you, all of a sudden, gotten a bone scan in your office and you want to do a bone scan on a patient, you need to find out if the insurance company covers that or not. So that should be a phone call to find out if that is covered. HIPAA eligibility for a health plan, the actual name for that electronic request for information and that back is an X12 270 and 271. The trace number, that’s just the number of this put on there so you can identify if you have a question and have to call the insurance company or request more information, you use that trace number. Pre-authorization is requested before a patient’s given certain time. Any procedure being done on a patient needs to be pre-authorized. Physical therapy needs to be pre-authorized, occupational therapy needs be pre-authorized. You have to have the pre-authorization number in order to get paid. HIPAA referral certification and authorization is that transaction, the electronic number for that is the X12 278. A referral number is an authorization number given to a referred physician. Because again, if you’re seeing a patient that’s been referred to you, you need to have that referral in hand before you see the patient. Providers must handle these situations correctly because if you don’t, you won’t get paid. A referral waiver is a document the patients signs to guarantee payment we haven’t received. So I haven’t gotten the referral from your physician that sent you here yet. It hasn’t come. I need you to sign this stating you’re going to see the doctor today, you know that if I don’t get that referral from your physician’s office you’re going to have to pay the bill. Primary insurance, this is the health plan that pays first, secondary insurance is the one that pay second, tertiary, third. So you can have … Let’s say a child is in an auto accident, the primary insurance would be the auto insurance. The next health insurance would be the father’s health insurance, the next health insurance will be the mother’s health insurance. So again, you’ve got three insurances, you can go to tertiary. Supplement insurance is a health plan that cover services normally not covered. Usually, a secondary is called the supplement insurance so it’s kind of an interchangeable name. To determine a patient’s primary insurance, you have to examine the patient information form and insurance card. Follow the coordination of benefits, follow any rules that apply and communicate with the patient as needed. Obviously, the more information you give the patient upfront about what they’re going to have to pay, the better your relationship with that patient is going to be. Coordination of benefits explains how an insurance policy will pay if more than one policy applies. So basically, there’s that co-insurance, the insurance you’ve paid your deductible, the insurance now pays 80%, there’s that 20%. You send that 20% to the second insurance, the second insurance gets … So, let’s just say your bill starts at a $100. The first insurance, primary, pays $80. You now have $20 left to bill the second insurance. The second insurance pays 80-20, they are getting billed for $20. So they will pay 80% percent of that which is 16, the patient will then pay the 20%, which is $4. So $80 from the first insurance who paid 80-20 because they got billed a hundred, the second insurance now gets billed at 20, they pay 80% of that 20 which $16, and the patient pays the 20 which is $4. That’s your coordination of benefits. The birthday rule, this means if two parents have insurance for a child, it doesn’t matter which parent is older, it matters which parent has their birthday first within the year. So in the case of myself and my husband with our grandchildren, my birthday is in April, his is in August. My insurance would be primary because my birth date comes first within the year. Gender rule as coordination of benefits rule for a child that’s shared under both parents plan, most insurance companies go with the birthday rule and not the gender rule. Entering insurance information in your practice management program. Garbage in, garbage out. You need to make sure the information you enter in this program is correct. Communication with payers, you need to check on patient’s eligibility, make sure you have your referrals, resolved any billing disputes, document all communication. Documentation is key within the medical field, not only the clinician’s side but your billing side. You have to document every conversation with the payer, every conversation with the patient, every conversation that you’ve had, document. Documentation is what you need to stand on to try to get that claim paid. An encounter form, whether it’s electronic or paper is completed by a provider to summarize billing. It lists your medical practices. Usually the encounter form is also called a route slip, it’s also called the super bill. This is the piece of paper that is usually filled out in the office and as your quick checklist as to what was done to the patient. Then the doctor signs it and writes the diagnosis. Your charge capture, these are procedures that ensure billable services are recorded and reported for payment. So, obviously, you need to make sure that everything is done on patient is entered in your systems so that you can get paid. Practices routinely collect these charges at time of service. Obviously, any previous paid ballots, co-payments, sometimes co-insurance, anything non-covered, or anything over limit. That limit is your fee, that fee schedule is sent by the insurance company that they allow a $100 for this service. If your fee is higher and you don’t have a contract with the insurance company, you need to collect that from the patient. Anything above that $100 you need to collect. Coverage of nonPAR provider, same thing. Charges for self-pay patient, deductibles for patients with consumer-driven health plans that have the large deductibles. Any charge for supplies and copies of medical records. Accepting assignment, again, this is where the patient has given permission for the physician to bill the insurance company, and the insurance company to pay the physician. It is not accepting the allowed charges payment in full. What it is, is if you have a contract with an insurance company and their fee is a $100, okay, they only pay 80% of that, but all you are going to receive is a $100 between the patient and the insurance company. That’s accepting assignment, you agreed to accept that $100 as payment in full from both the combination of the insurance company and the patient. Your self-pay patient is a patient with no insurance, and partial payment is a payment made during check out based on an estimate. Real time claims adjudication, it’s the process used to generate the amount owed by a patient. So what you’re going to be able to do is add today’s charges together, so today’s charges were $250, you have a contract with the insurance company so you know the total amount allowed by the insurance company for all of these charges is only a $100. So based on that $100, because we have to forget everything else because we signed a contract, based on that $100, how much does the insurance pay? When the insurance pays 80% the patient pays 20%. We want to collect that $20 from the patient before they leave the office. That’s real time claims adjudication. Your financial policy, this is the practices and rules governing patient payments. You have to have a financial policy. If it’s up to $500 you expect it to be paid within two months. $500 to $1,000, you expect it to be paid within three months. You know, a thousand to whatever, four months, five months, et cetera. You have to have a strong financial policy because that is what you use with the patients and say, “Well, this is our policy.” Credit and debit cards are usually accepted in all offices. So that’s it for this week’s lecture. I look forward to seeing your submissions this week. Enjoy learning about medical insurance. This is the core of what a medical biller and coder is all about, maximizing reimbursement.